I am not sure about you, as for me it is fun and refreshing to enjoy morning sun and serenity. It’s also the natural source of Vitamin D for our skin and remember to apply sufficient sunblock. When was the last time you had picnic with your family and friends? 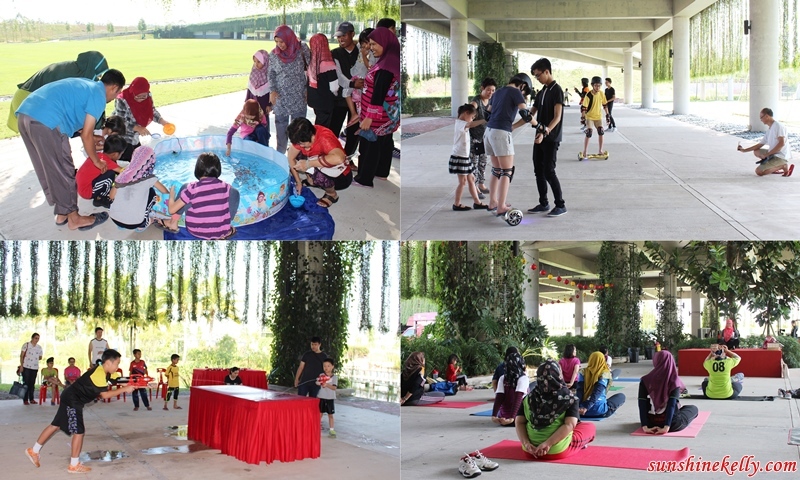 Oh mine was just last weekend… we were at Rimbayu Together-Gather Big Fun Day at The ARC, Bandar Rimbayu, Kota Kemuning. Don’t envy us because you can do it as well, all you need to prepare are set the location, get ready the mat, food, drinks, snacks, games and you are ready to go. The most important is spending quality time with your loved one during the weekend. That’s life simple pleasure. What a healthy and fun way to kick start my Sunday morning with a healthy picnic. Enjoy my fruits and power breakfast at the park. It’s actually quite simple and hassle free to plan a picnic, you can have healthy and easy to prepare food such as fruits, salad, sandwiches, yoghurt, bread, bun, pack noodles and others. 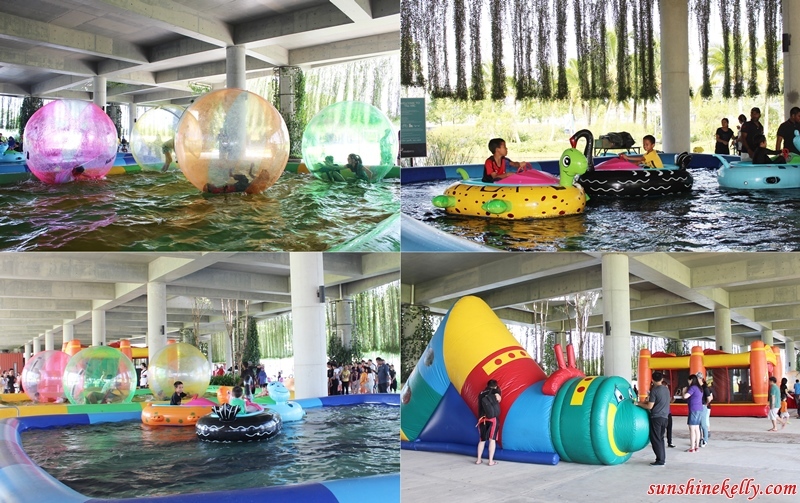 Rimbayu Together-Gather Big Fun Day ~ Water Zorb Ball, Bumper Boat & etc. As you can see there are many fun and exciting activities happening concurrently at Rimbayu Together-Gather Big Fun Day. 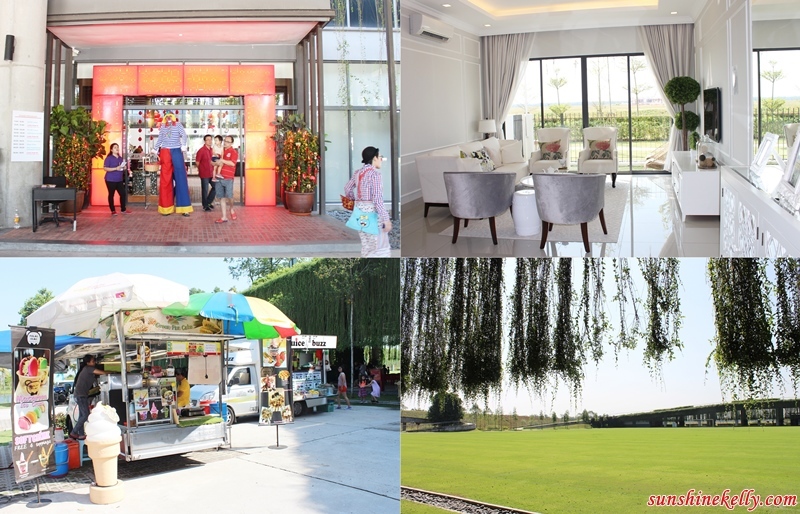 All the activities are suitable for the whole family from children to adults. OMG… look there were Water Zorb Ball. Have you tried that before? Arghhhh I forgot to bring extra clothes if not I would have joined them to play also. Then we hop over to the Bumper Boat station, looks like the children were having fun. Plus there were playground and slides for the children too. Water Fight Battle, Exercise Classes. Let’s check our more games and activities. The electronic skateboard was so fun, especially for the first timer. Here are the water fight battle station and the fish scooping games. If you managed to scope the fish you can bring them home, nice leh. By the way, you can join the yoga and exercise class. Oh yes! the Rimbayu Show Gallery also open during the weekend. I saw many parents and couples visited and make enquiries about the houses and development projects. We also went to check out the show units. I really love house layout, interior designs and spaciousness. There were food trucks available at the venue so just hop over to buy some food and drinks, it kind of urban picnic style. We also explored around the vicinity and enjoyed the lovely lush greenery. Hey not only fun games and activities. There were entertainments as well, we met Astro Stars such as Jiang Han, Uriah, Apple and Sharon. I saw many guests sang along with Sharon and Apple. Bandar Rimbayu is a great place for family. It’s well planned township by IJM Land. Inspired nostalgia for a time when life was simple and people lived close to nature, safe, and supportive neighbourhood. The lush tranquil green surroundings on a 1,879 acre site, this is an iconic mixed development of residential, commercial, recreational and parkland components. It’s a sustainable township and the houses are spacious. Overall, I had fun picnic, playing the giant bubble and enjoyed some of the games with friends. Plus get explored and know more about Bandar Rimbayu. Well this is an integrated township with residential, commercial and recreational components spread over four precincts of Flora, Fauna, Bayu and the Commercial Hub. Plus Bandar Rimbayu is connected to major towns through the nearby highways including the Lebuhraya Shah Alam (KESAS), Lebuhraya Kemuning – ShahAlam(LKSA), Expressway Lingkaran Tengah(ELITE) and the South Klang Valley Expressway (SKVE). Soaking the sun's heat and warm sunshine is great when it's not too hot. The water zorb ball and the bumper boating looked extra fun! I've heard of Bandar Rimbayu through their subpage at Facebook where they share stories of people who did good in life. Although I have not had the need to buy a house yet, I think it's awesome to do that as a corporate company. I have my admiration for Bandar Rimbayu. Oh, fun event! It seemed great and you just had excellent experience! This is a nice place to be. Gosh! the green the fun activities too. It look so fun and I should join this event. Seem all of you having a great time together. My kids would love all the fun activities and play areas there! Wish we had these in Manila. Looking by the pictures, I feel like joining in the fun. It's also a relaxing place for the whole family. Those are lovely photos. You all look happy. And the place looks something I would go for picnic and activities with friends and family. Lovely photos. It must be a wonderful outing with family and friends. a great event day for families , the more the merrier ! You sure do look like you had a great time there. Those big bubbles are always fun and makes you feel like a kid again. I miss going on picnics. It looks like there are a lot of fun things to do here. WAH! Look like a fun day out wor. Nice nice. Such happening and lovely gathering you have with friends =D They have the water activities for kids as well! So fun!! That is why I love running in the morning. Beautiful scenery, fresh air and the wonderful sun! I love these kind of gatherings and it is so much fun together with a bunch of family and friends. the photograph looks so nice! some more we can picnic. such a cool place! I read about this event and its really cool for family and friends. Their homes look lovely!